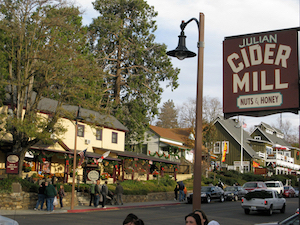 Julian is known for its world-renowned apple pies. In fact, there are several restaurants where you can taste a slice of heaven such as the Julian Pie Company and Mom’s Pie House. If you are interested in seeing a gold mine, there’s a guided tour offered by the locals. For a relaxing stay after all the activities, make sure you check out hotel discounts offered by the Apple Tree Inn and Stagecoach Trails RV Resort.